We finally made it to the last week of fashion month! Lots of great things happen during all the fashion shows. Kendall Jenner made a big splash in walking a few big shows, Jared Leto held up one show for his arrival, and lots of great designs were showcased. This week we are looking back at some great shows that happened in Paris. Riccardo Tisci did great things for the fashion house. 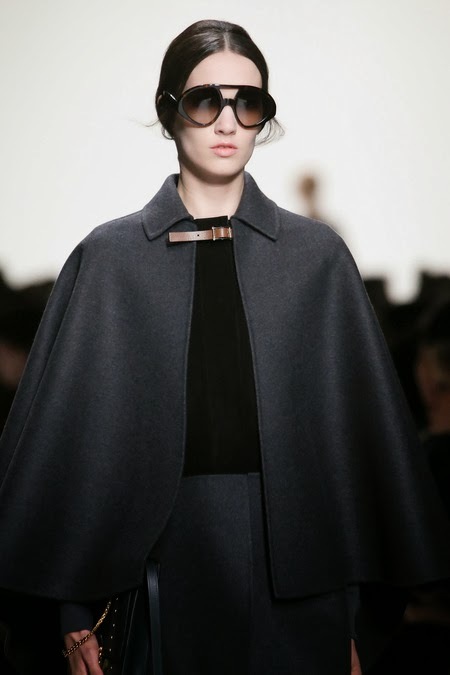 This collection felt very womanly and very french at the same time. "This time it was about celebrating elegance and bon ton." was Tisci's thoughts on this season collection. You could tell that the elegance was there and even in his amazing tailoring. Lets start by talking about the runway at this show. When you first see it, it almost looked like troughs but when the show started they turned out to be hydraulic arms to create an allée for the models to walk through. 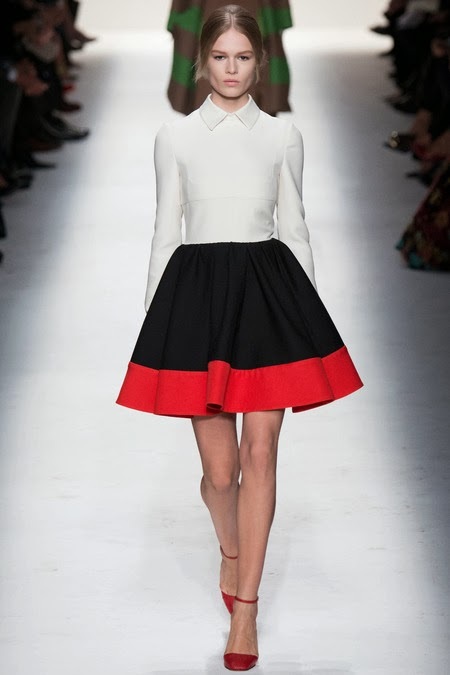 The collection itself was inspired by the mid sixties and the pop music that led the era. It was made up of mostly sequins, metallic's, and furs which rang true at that time. This collection and Saint Laurent both had the same outlook in designing. 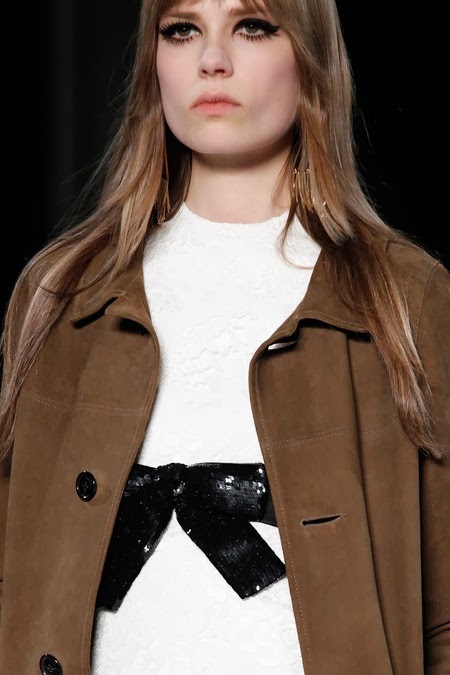 Both were inspired by the 60's however Chiuri and Piccioli also looked at the 70's and Italian Pop art. When talking about the collection they brought up how women in this era were never thought of as artist "There were the rule breakers, Nobody believed that women could be artist." Evening wear played a big part in the collection along with great colours and prints. What did you think about these collections? 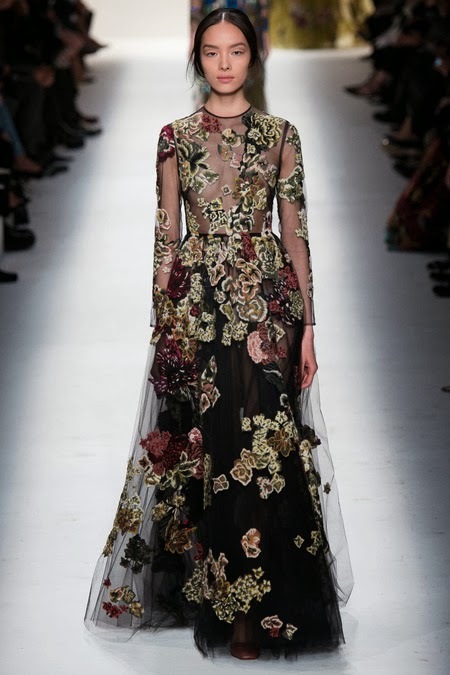 I love the Valentino collection.. the prints and the colours are just stunning! You have a lovely blog, I'm so happy I found you through IFB. I followed and would love for you to check out my blog as well!